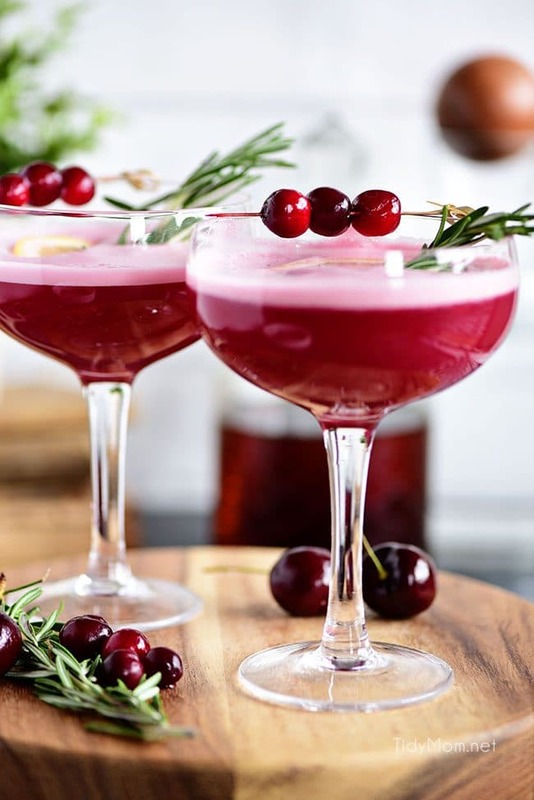 The fruity cherry and cranberry notes in this Cran-Cherry Rye Whiskey Sour Cocktail complement the spicy rye for a perfectly sweet and refreshing cocktail. Add in some lime juice and egg whites and you’ve got yourself a drink you’ll love and enjoy all year long. 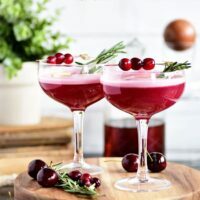 We just love cocktails that are a cinch to make and full of holiday flavors like German Mulled Wine and Smashing Pumpkin Cocktail. Lately, we’ve been on a cocktail kick, trying all of the fun cocktail bars wherever we go, like Barred Owl, in Columbia, MO, and Catherine and Mary’s in Memphis, TN. They are both a must try if you’re in either one of these areas! With all of this inspiration around I had to try crafting one of the cocktails myself. 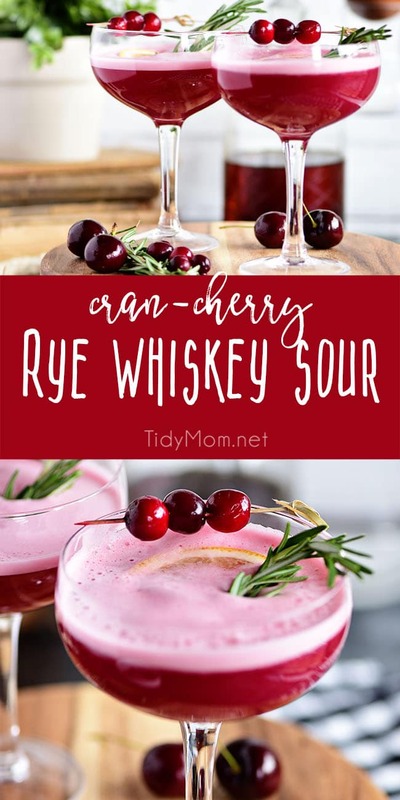 This Cran-Cherry Rye Whiskey Sour is one that blows all the other cocktails out of the water! It’s subtly sweet, easy to make, and looks almost as good as it tastes. It there was ever the perfect instagramable cocktail, it would be this drink. It can easily be made in a larger batch for parties, or you can whip up just one or two for a refreshing nightcap. What’s In A Cran-Cherry Whiskey Sour? What makes this cocktail so good is that it takes a spin on a traditional whiskey sour and gives it a few upgrades that make the flavors out of this world! I used Rye Whiskey instead of a traditional whiskey because the spices pair very well with the sweet yet tart cran-cherry simple syrup. I also added egg whites, and I know what you’re thinking “An egg white in a cocktail? That’s crazy” You betcha it’s crazy… crazy delicious! We’ll get to the specifics of egg whites in cocktails later, but for now, just believe me, you won’t be cringing at the thought of egg whites in a cocktail once you try it! 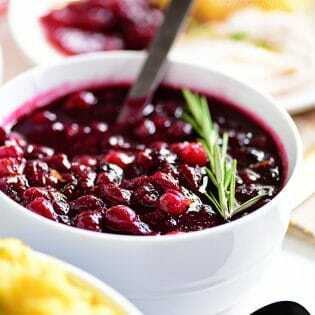 Frozen Is Just As Good As Fresh: I love the tangy, refreshing, bright taste of cranberries all year long so, if they aren’t in season, frozen works just as well. You just have to allow them to thaw before making the syrup. 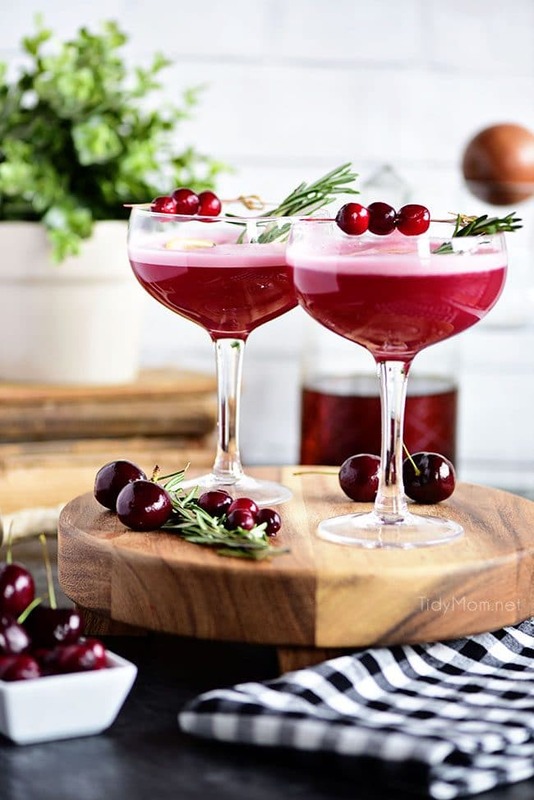 Make The Syrup Any Time: To make this recipe even more simple, the easy cranberry and cherry infused simple syrup that’s the base of this delicious drink is a great make-ahead-of-time ingredient. Just whip it up at the beginning of the week and you’ll have your syrup all ready to go for drinks all week long. It will keep in the fridge for up to two weeks. When making the syrup, the mashed cranberries and cherries can be reserved for another use, such as adding it into smoothies or on a roasted turkey, apple, and cheddar sandwich. Build the cocktails: Place the rye whiskey, lemon juice, cran-cherry syrup, and egg white in a cocktail shaker. Second shake with ice: Add ice to the shaker, seal, and shake more to chill. Strain the cocktail: Pour the cocktail through a fine-mesh strainer dividing into two coupe glasses. 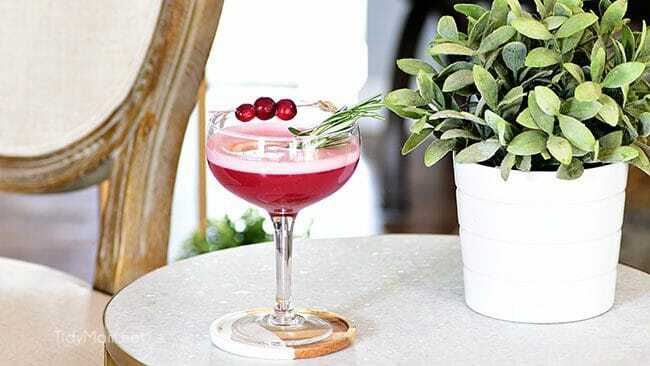 Garnish and Serve: Garnish cocktails with speared cranberries, a fresh rosemary sprig, a lemon slice and enjoy. For the full recipe and instructions, scroll to the bottom of this post to find the recipe card. When it comes to cocktails, the presentation is almost as important as the taste. So I love to grab my favorite glasses and a little garnish to make this drink look like it came right out of a craft cocktail bar. 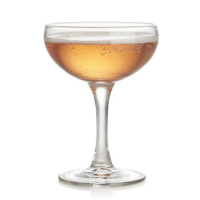 Originally invented as a champagne glass, the round-bowled coupe glass is on point for a pretty rosy-hued cocktail. 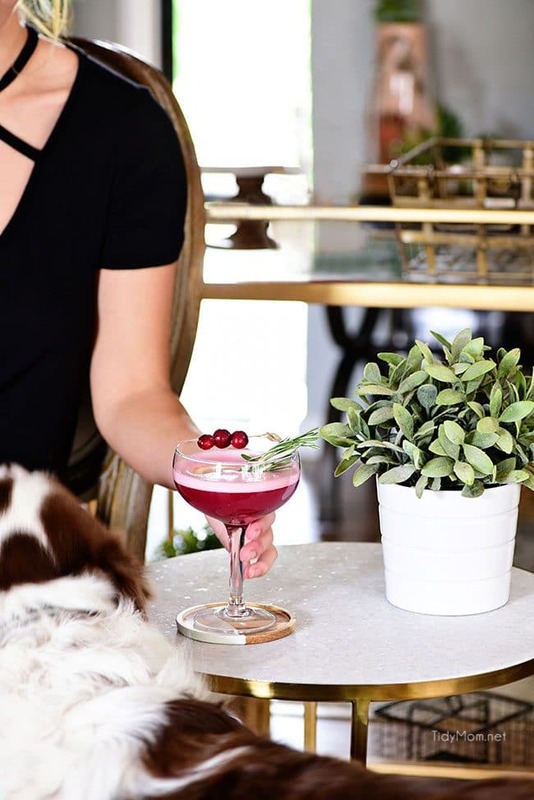 This Cran-Cherry Whiskey Sour is just begging for you to share with family and friends. 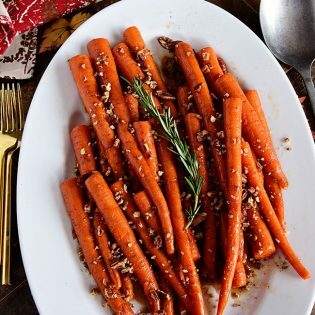 Serve with some small bites like Dried Apricot Blue Cheese Canapes with Walnuts, Blue Cheese Wedge Salad Crostini or Garlic Chicken Puffs. Why Put Egg Whites in a Cocktail? Egg white drinks have a richer, creamier texture and have a foamy appearance, all without a significant flavor difference. So, essentially they just enhance the appearance and texture of the cocktail without altering the flavors. As long as you follow a few simple steps when prepping an egg white cocktail, there won’t be any salmonella concerns. Clean the eggs, use fresh eggs, keep eggs cold, and toss damaged eggs. What’s The Difference between bourbon and rye? Bourbon whiskey is made from a mash consisting of at least 51% corn, and can only be called bourbon if it is made in the United States. Bourbon can be no more than 62.5% alcohol when it is placed inside wooden casks to age. Which is the proper whiskey for your cocktail? It really comes down to whether you want sugar or spice? If your cocktail already contains sugar, like an old-fashioned or this cherry whiskey sour then rye will balance it out and bourbon will make it extra sweet. Do I need to use a Shaker? Shakers are a very important bar tool because it allows the ingredients to be mixed in a way that simply stirring won’t allow. A shaker is extra important in this cocktail because it’s used to thoroughly blend the egg white mixture. German Mulled Wine is like a mix of a spicy mulled cider, sangria, and a punch. It’s sweet and tangy and tastes just like Christmas in a glass! Hot wine it’s guaranteed to warm you up on a cold winter day. Hibiscus Cherry Vodka Spritz Sweet summer cherries, hibiscus, lemon, and a splash of vodka come together to make this refreshing pitcher cocktail. It’s delicious, pretty, and perfect for warm summer days or nights. Try serving this up at your next summer party! Blackberry Dark and Stormy a refreshing Blackberry Dark and Stormy cocktail. Light and fruity, and just boozy enough to make the perfect drink no matter the occasion. Blueberry Martini This cocktail is so smooth, your glass will be empty before you know it. You can’t go wrong when you have the perfect proportions of blueberry vodka, elderflower liqueur, lime juice, and a little simple syrup. Float a few blueberries in the glass, and it’s a stunning cocktail to serve. Caramel Apple Moscow Mule perfect for autumn! Made with sweet caramel vodka, fresh apple cider, and ginger beer it’s sure to become the official cocktail of fall! Sparkling Red Wine Sangria A fabulously easy make-ahead cocktail. The longer the fruit soaks, the more of the sangria it absorbs for a snack once you finish your cocktail. 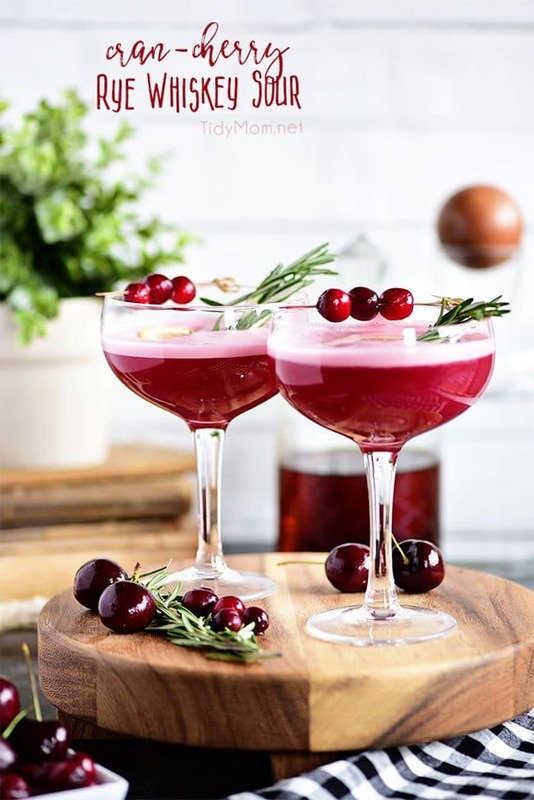 Like This Cran-Cherry Whiskey Sour Recipe? Pin It! 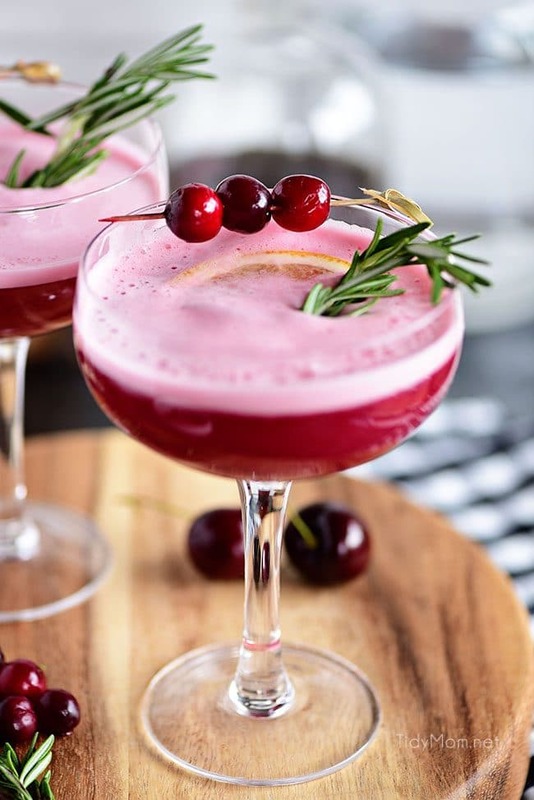 The fruity cherry and cranberry notes in this Cran-Cherry Rye Whiskey Sour Cocktail complement the spicy rye and tone down its bite. An egg white in a cocktail? You betcha! Utterly the perfect cocktail for winter or any time of year. Cook: Using a small saucepan, combine cranberries, cherries, water, and sugar. Bring to a boil and continue to cook stirring occasionally with a wooden spoon or spatula until cranberries start to pop and burst (about 3 minutes). Strain and chill: Lightly mash berries with a potato masher or fork. Over a small bowl, strain fruit through a fine mesh strainer, pressing with a spatula to release all the juices. Set bowl aside to cool completely. Refrigerate syrup in an airtight container for up to 2 weeks. Remaining mashed cranberries and cherries can be reserved for another use, such as adding it into smoothies or on a roasted turkey sandwich. Build the cocktails: Place the rye whiskey (or bourbon), lemon juice, cran-cherry syrup, and egg white in a cocktail shaker. Do not add ice yet. Second shake with ice: Add ice to the shaker, seal, and shake for 7 to 10 seconds more to chill. 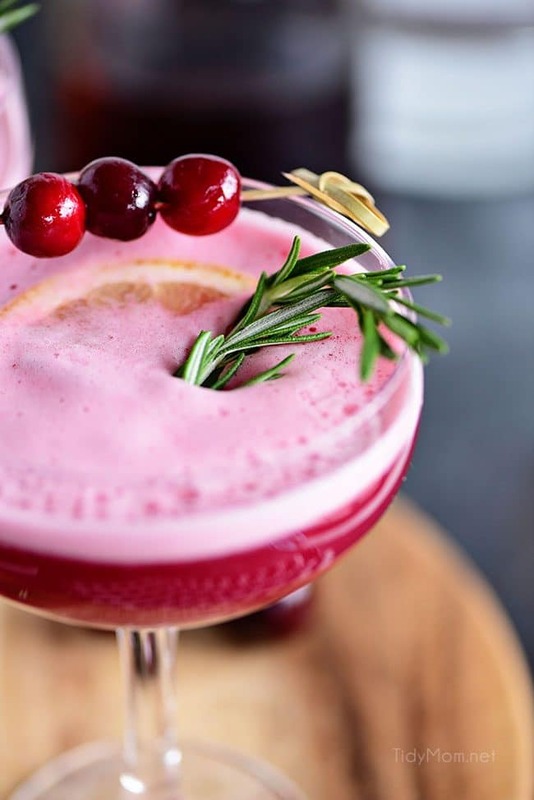 This cocktail is beautiful and perfect for the holidays. Everyone loves it! Now this is a fun and creative cocktail. Love it! Ever since my Scotland trip, whiskey is my new favorite drink! Can’t wait to try this recipe. Yum! This is what I’ll be sipping this holiday season! So good and so pretty! 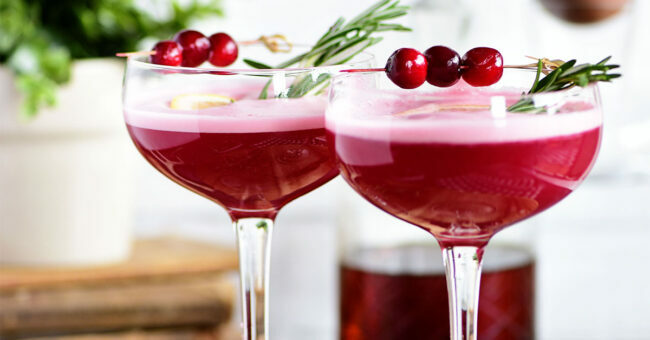 wow, a lot going on with cocktail, in a good way, thank you, and love the cranberries too for a little anti-oxidant boost (I think they are..)! thank you for this cocktail! This is the most beautiful drink, Cheryl! I wish we could get together and sip on them this Christmas!